Now sporting DA9000, so I need to get new pics....1999, so turns 20 this year. Now that's a modern classic! 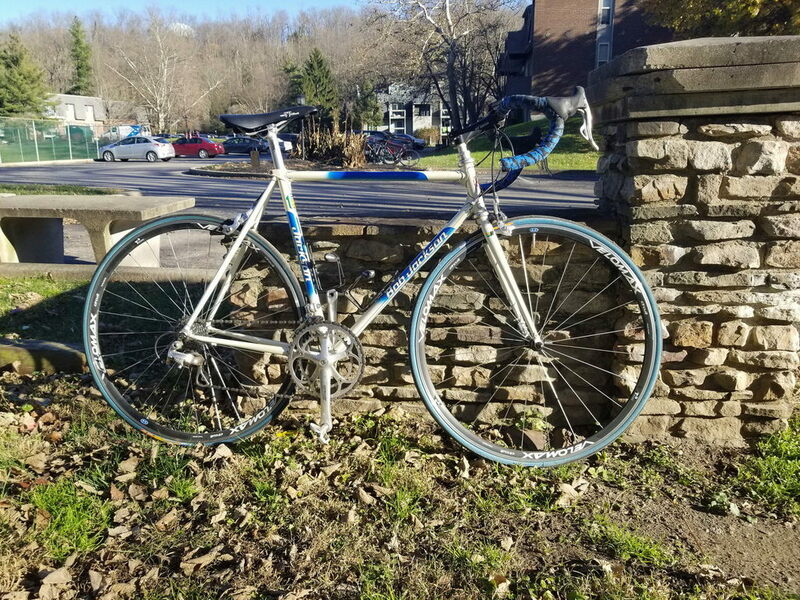 Are we talking road bikes only or in general? 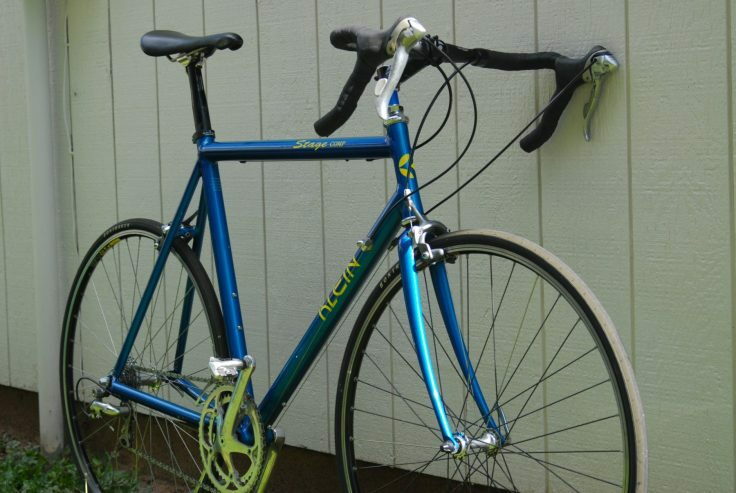 If road, then it would be my 1990 Univega Nuovo Sport that is waiting for bar tape. Last edited by 2cam16; 03-15-19 at 03:59 PM. 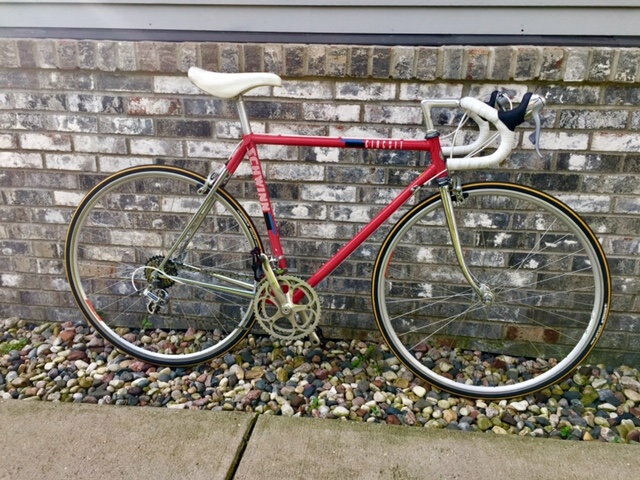 1985 Ross Signature 294S with 8 speed indexed is as fancy as I get. Last edited by due ruote; 03-07-19 at 10:01 AM. 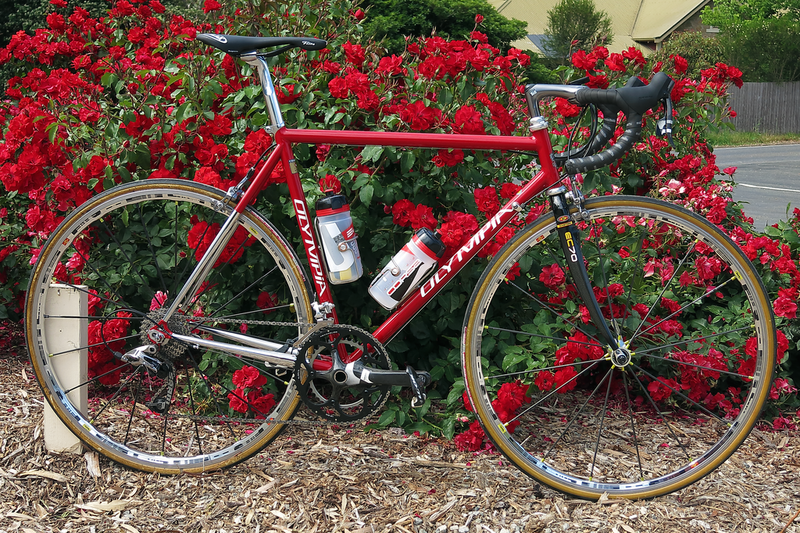 A 1994-ish Pinarello Gavia. 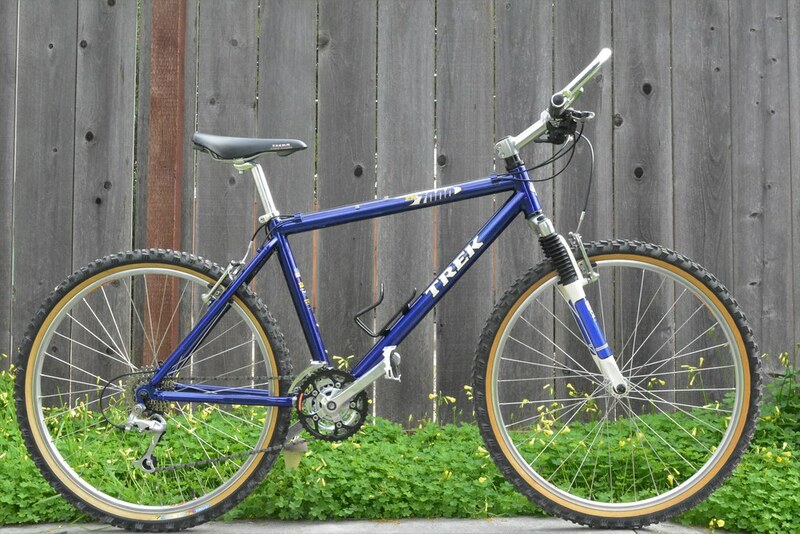 This bike probably had 2x8 Ergo shifters originally. 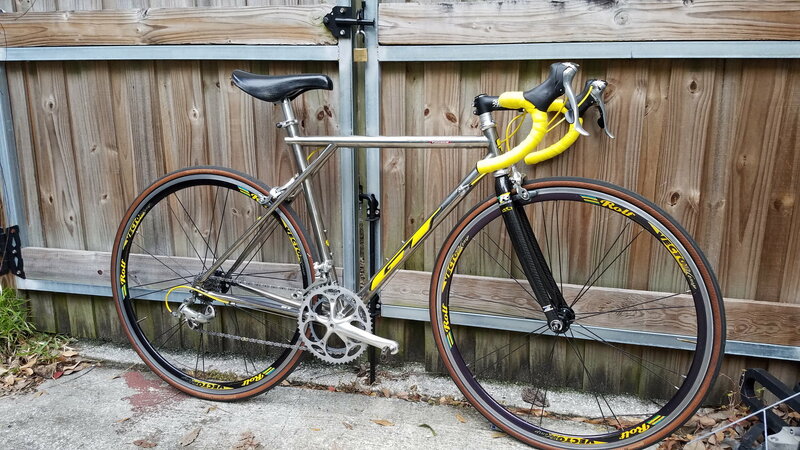 It was purchased as a frameset and now features a 2x10 Chorus & Veloce drivetrain. It has 130mm dropout spacing and is built from Columbus TSX. 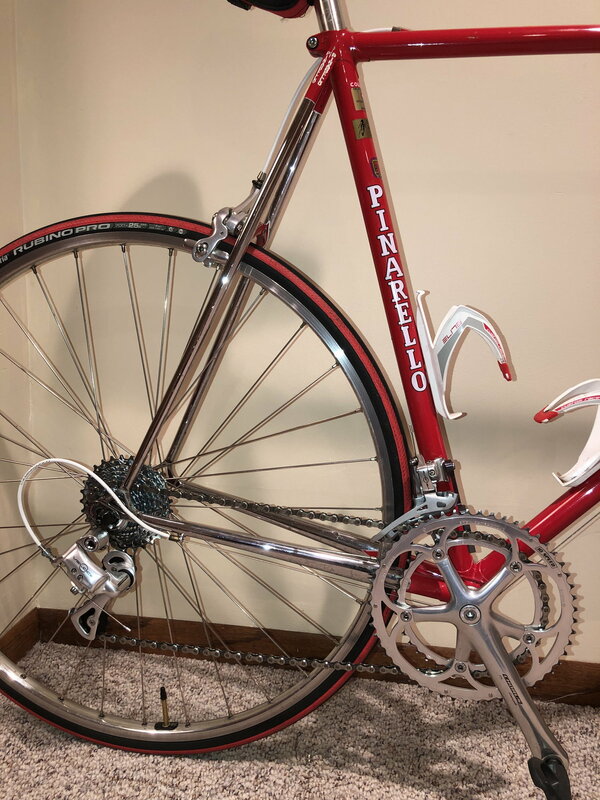 The Gavia was a top model from Pinarello at a time when Miguel Indurain rode for Pinarello. 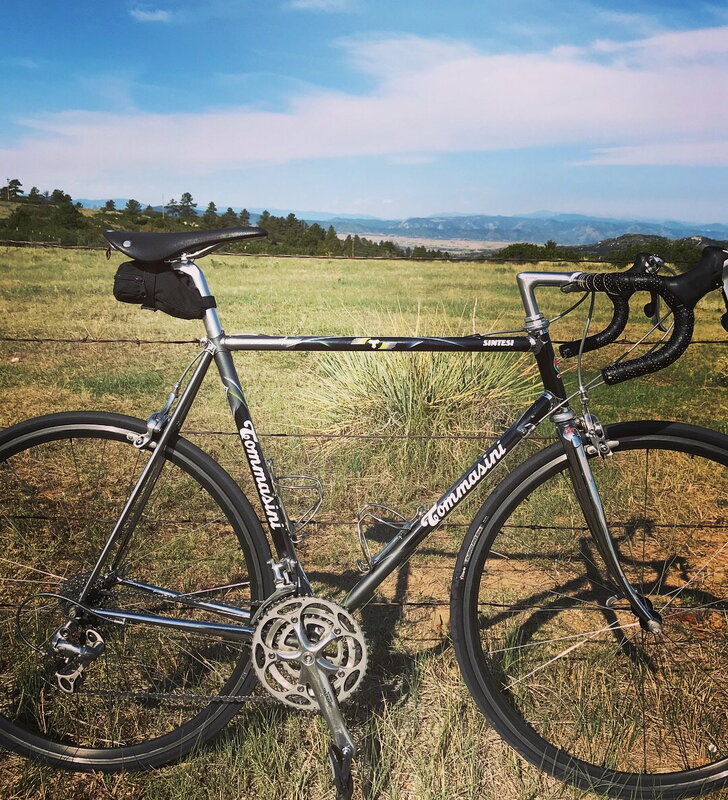 Miguel Indurain marked an era of unique cycling in the '90s, literally dominating 5 consecutive Tour de France, 2 Giro d'Italia, winning all the time trials, scoring the Hour Record, and double-tapping the victory to the World Championship. Last edited by Barrettscv; 03-06-19 at 06:23 PM. 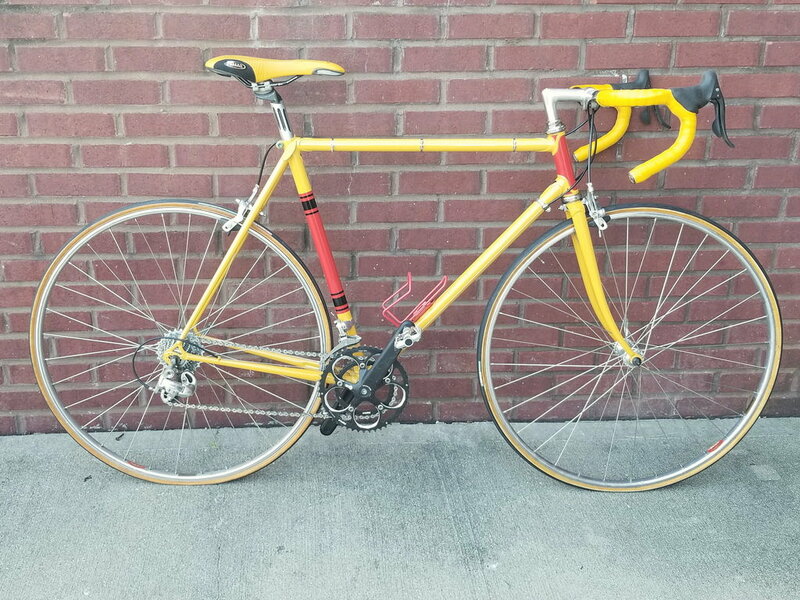 Since the lugged steel frame I built last year is banned, my next newest is an '89 Tange 1 road frame from Novara that is identical to an Ironman in geometry(and tubing). 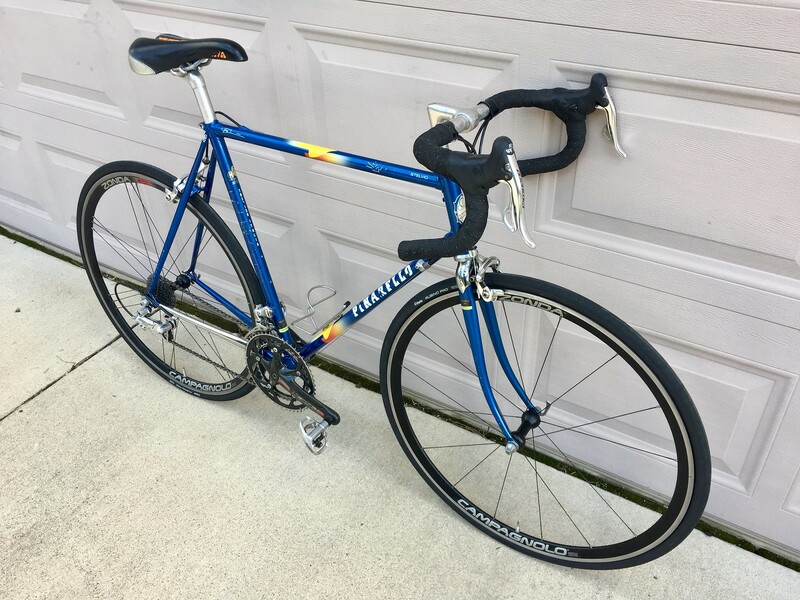 Built with a mix of 105 10sp derailleurs, Tiagra 9sp STI, and period crank, seat lost, etc. Frame is from this site. 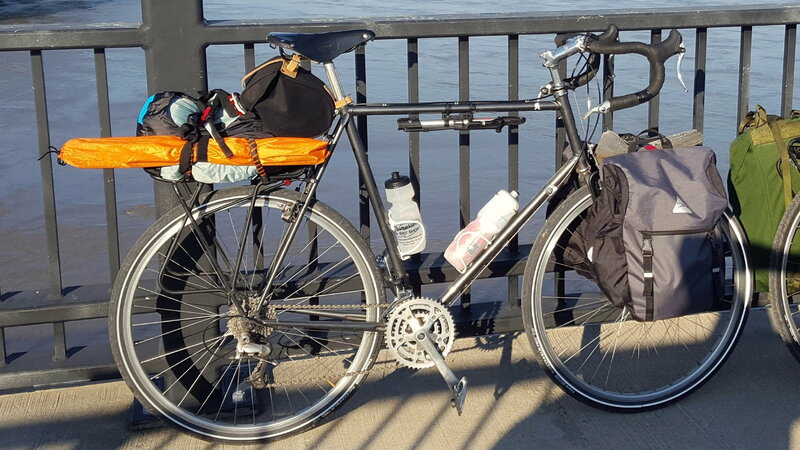 ...i did just realize my touring bike is 1 year newer. 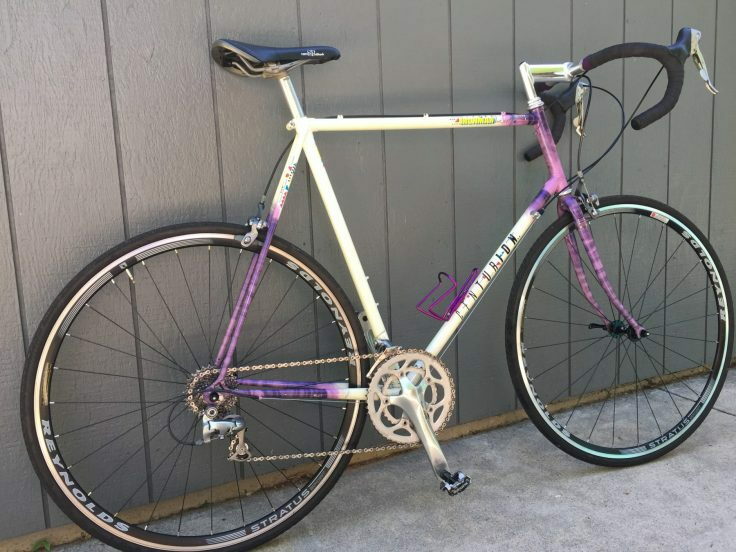 1990 touring frame made by Fuji for a touring company called Back roads. mix of old and new components for the drivetrain and cockpit. 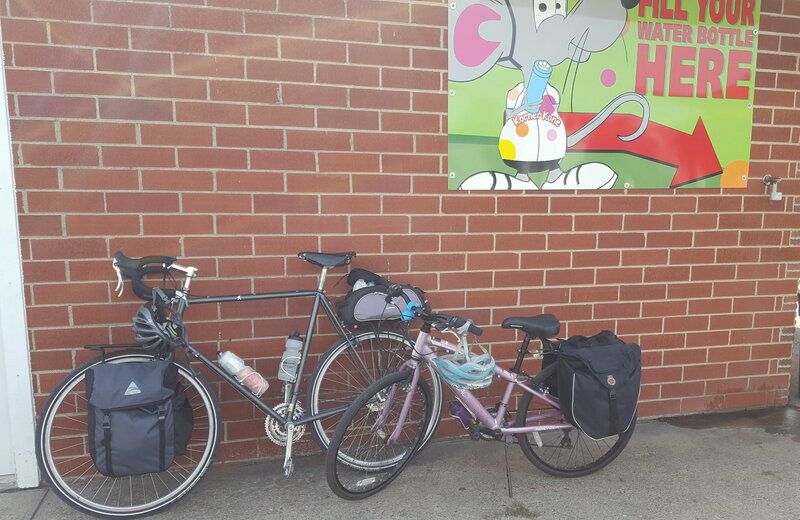 Its taken me across the state a few times and on a dozen short loaded tours of Iowa and some surrounding states. 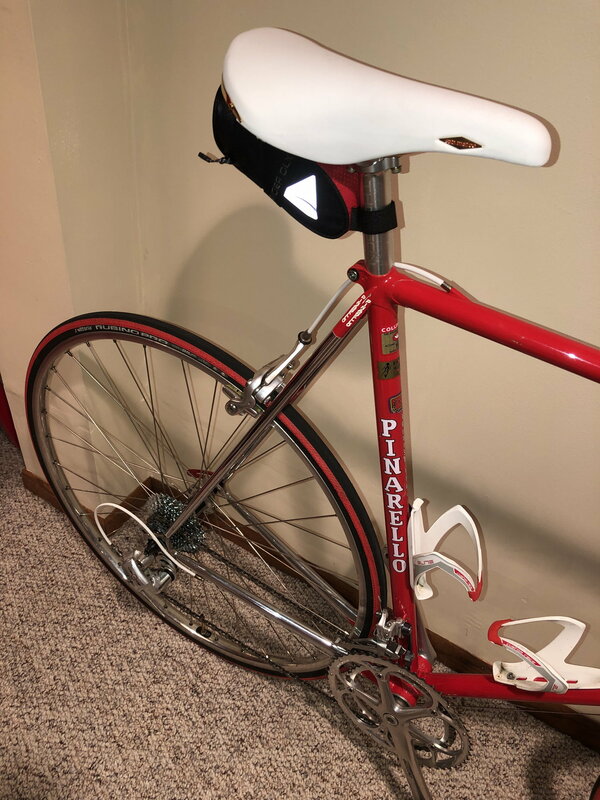 My 1995 Pinarello Stelvio. I saved it from a local pawn shop. 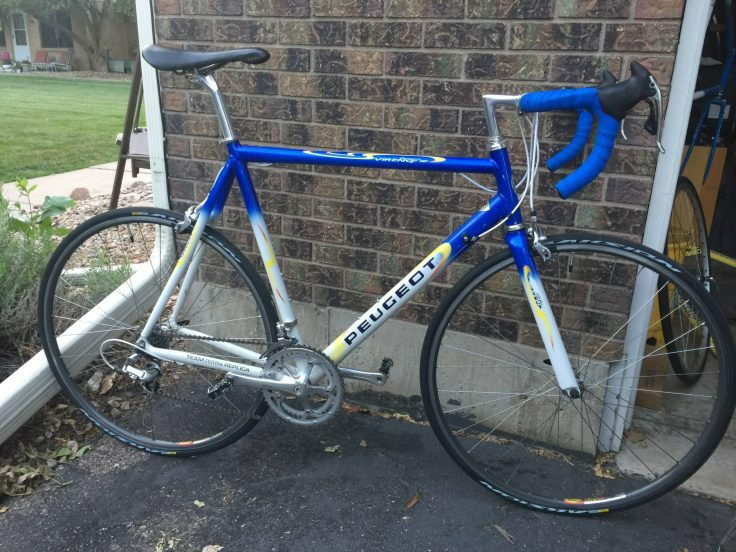 It came with a mix of 7 speed Shimano RS and RSX components. 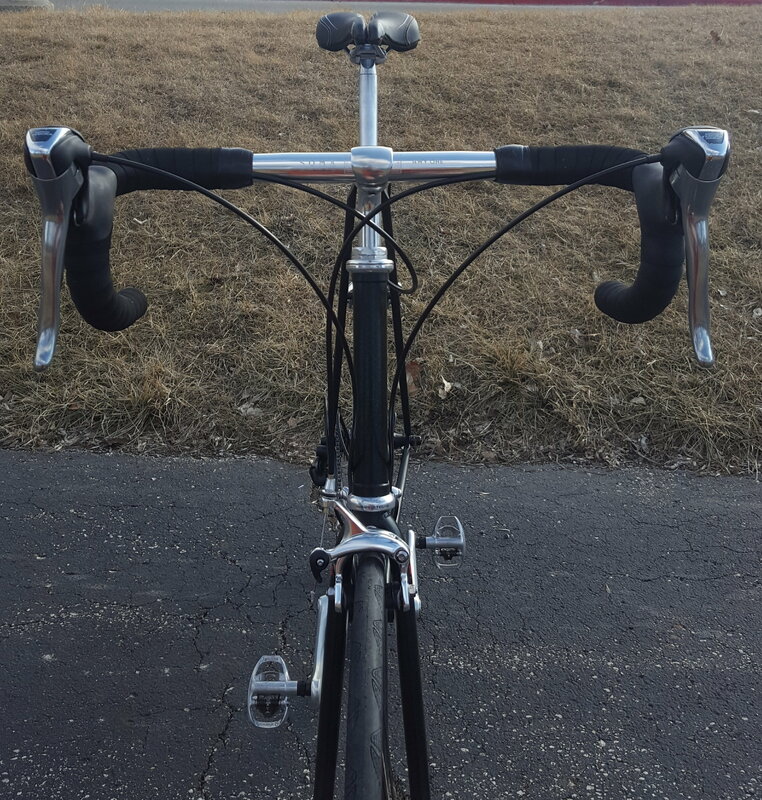 I upgraded those with 10 speed Campagnolo Centaur. 93-95 Olympia. Not a lot of info on these, "no info" I'm keeping this one the rest of my life. Here is a couple others. You bringing that to Coppi? Pinarello, never shy about intending to win. 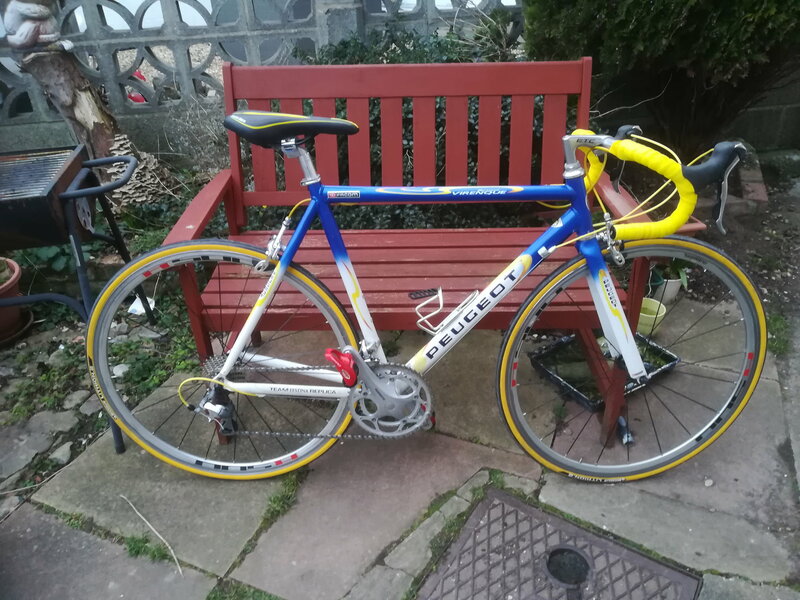 The Gavia was a top model from Pinarello at a time when Miguel Indurain rode for Pinarello. and a nice blue garage door. I keep re-reading the thread title, and not sure if my 3 submissions fit the question. 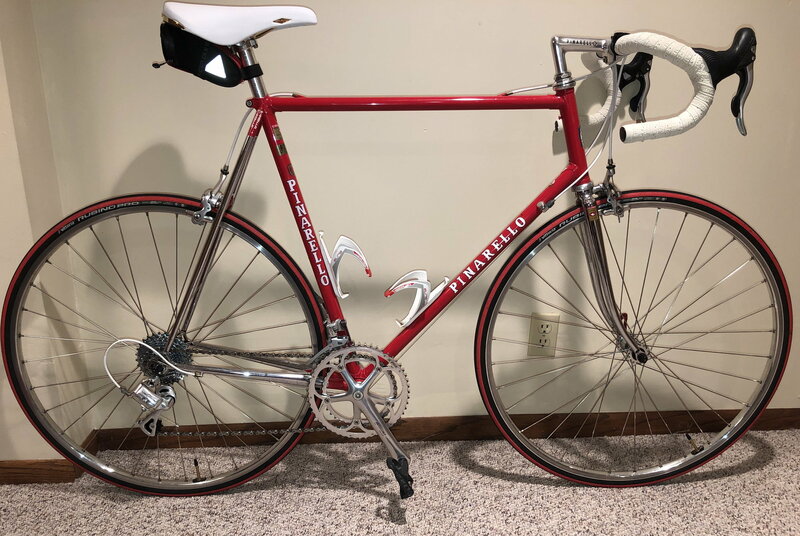 Actually the '88 Falcon is my 'most modern vintage' with a classic build - but if I submit 4 bikes, someone might guess it's ANOTHER snowed-in day. Don't overthink it. 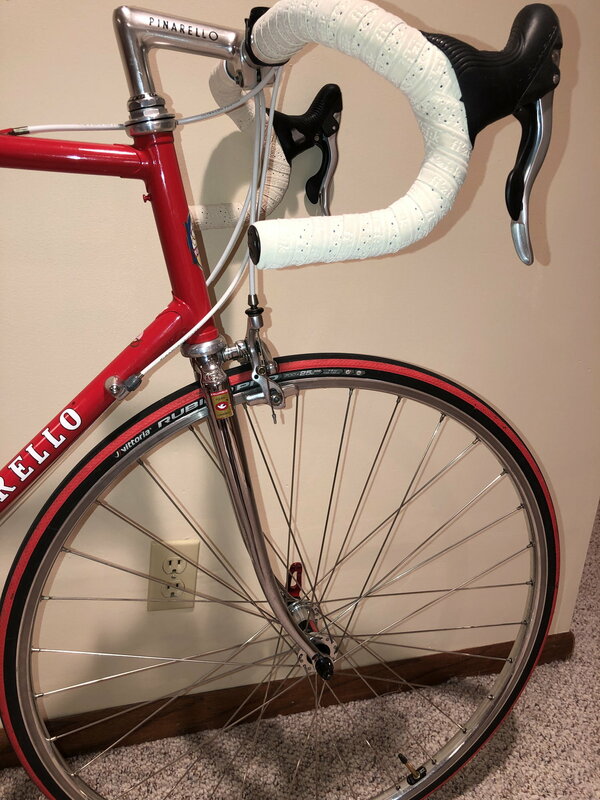 I was curious as to what is the most recent bike that is more than 15 years old that forum members have in their collection. Listing multiple bikes is not forbidden, and if your most modern vintage is 50 years old, display it. However, I'd like to limit newer bikes. 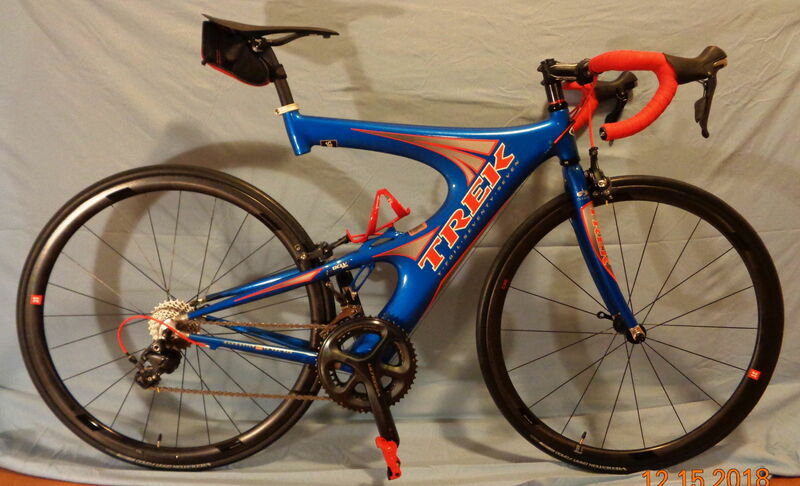 I have multiple carbon bikes that are very recently produced. That's not what this thread is about. Last edited by Barrettscv; 03-07-19 at 11:41 AM. Just squeaked in with this one - 2005. 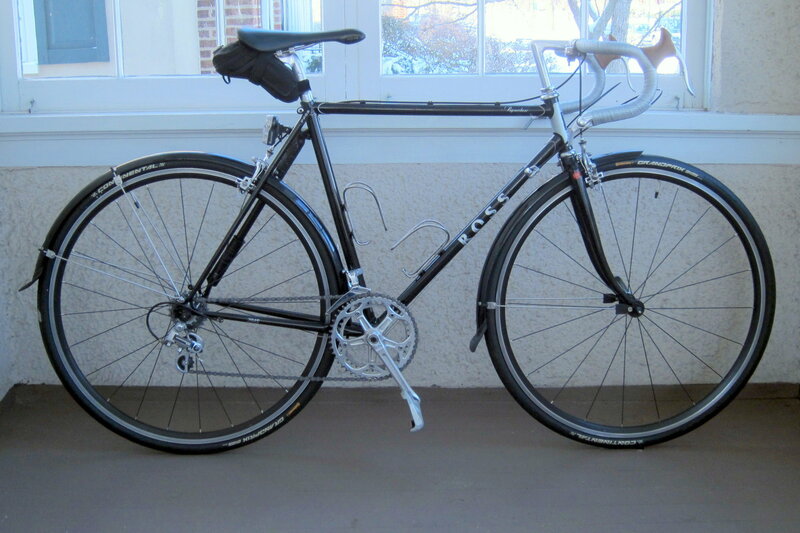 My ONLY bike-PERIOD-is an '84 Peugeot PH10LE that I bought new. All friction, no "clicks" any where. Still running the Helicomatic rear and the original SEDIS chain. I love my Pug and always get a compliment or three every time I ride it, which is every Saturday morning. Hoping I am understanding this thread's intent correctly. 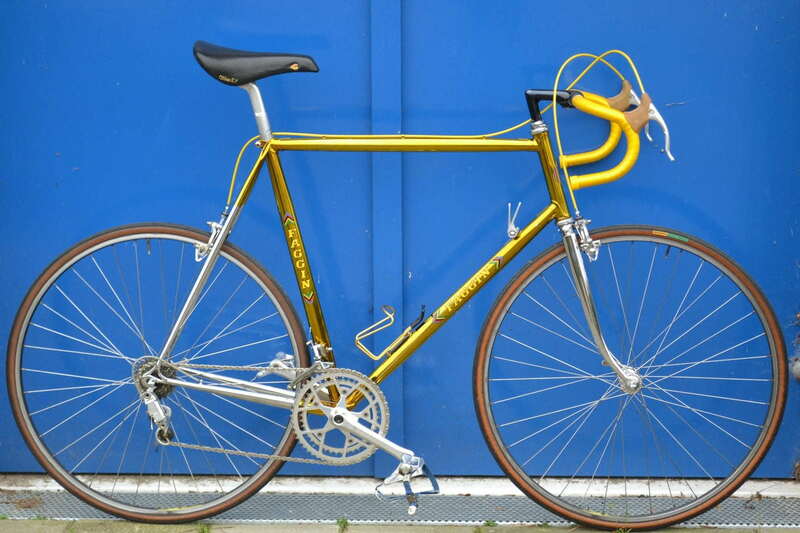 1977 Raleigh Team Professional (believe it or not). I've since had to change the crankset to a Shimano 600 because the entire arrangement shown here had a 1/2" wobble as the chainring turned. Thank you. Finding that blue garage door took longer than the actual build, BTW. often in a beautiful Old World (age appropriate) way. altho i can also visualize an old guy, schlepping obscure streets for an almost shabby complementary backdrop, that highlights a prized possession. Ha. re-edit: ‘Old World’ = from a USA perspective. Last edited by Wildwood; 03-07-19 at 12:46 PM. 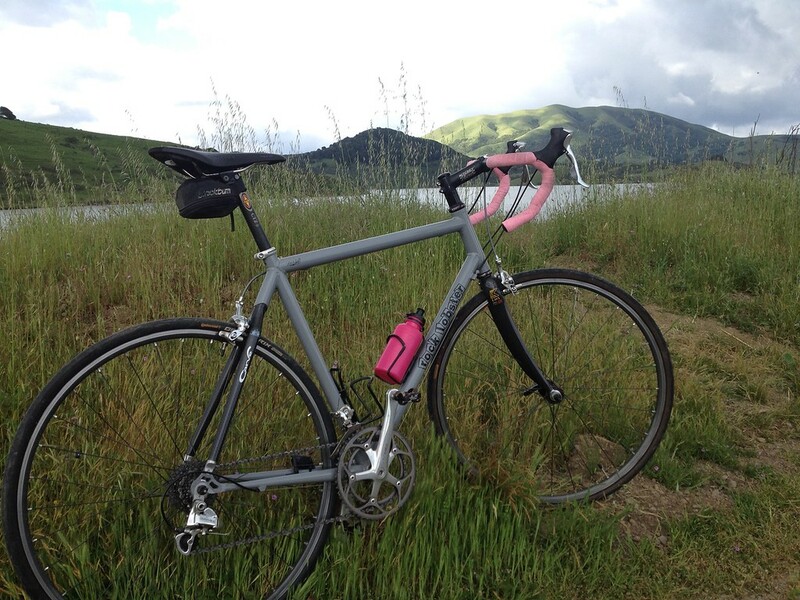 The bikes I rework are ones that we ride - they don’t sit around to much. 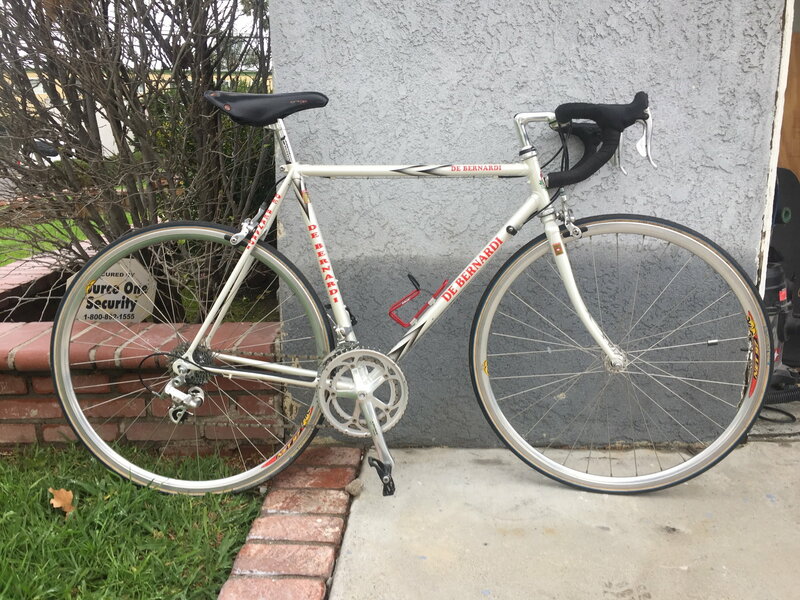 One of my favorite buildups is this late-1980s Schwinn Circuit that I put together for my son. It’s a pretty bike! 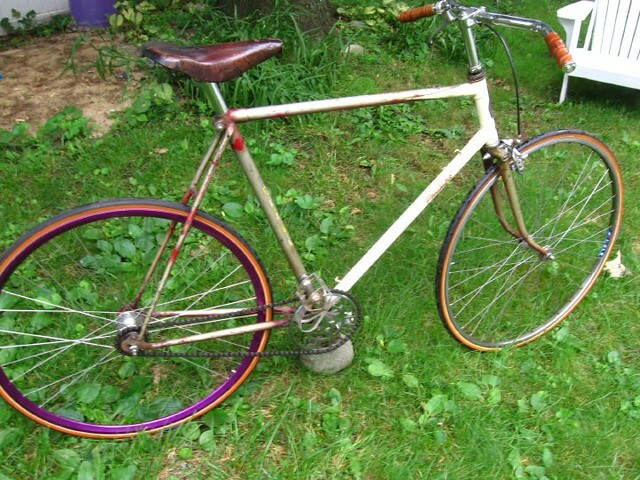 Since I horribly overthought this, I will offer the bicycle that you were asking to see.